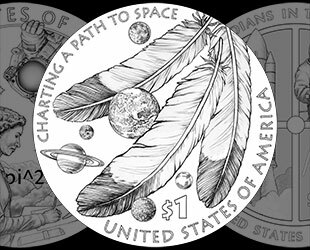 — The United States Mint will recognize the important roles that Native Americans have held within the U.S. space program with the release of a dollar coin in 2019. 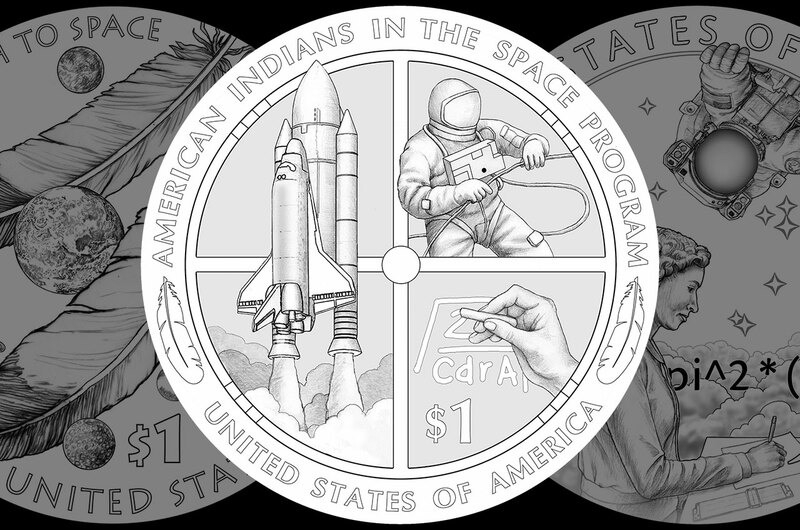 Continuing an annual series begun in 2009, the U.S. Mint's Native American $1 coin continues the use of a portrait of Sacagawea on its heads side, and features a design on its reverse (or tails side) that changes every year to honor the contributions of American Indians or Indian tribes. 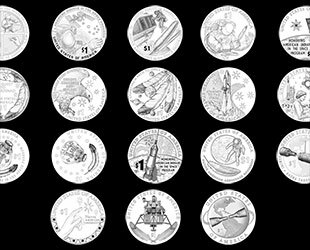 The Mint's sculptor-engravers and members of the Artistic Infusion Program (AIP) developed a portfolio of 18 designs for the tails side of the coin. The concepts range from depicting the space shuttle and International Space Station, Apollo command module and lunar module, and a Gemini spacecraft with Agena target vehicle, as nods to Herrington, Elliott and Ross. 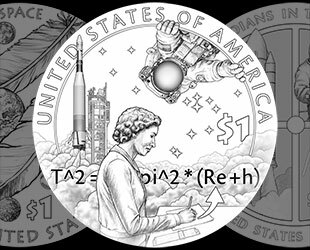 One of the designs includes a portrait of Ross and several represent Herrington as a spacesuited astronaut. 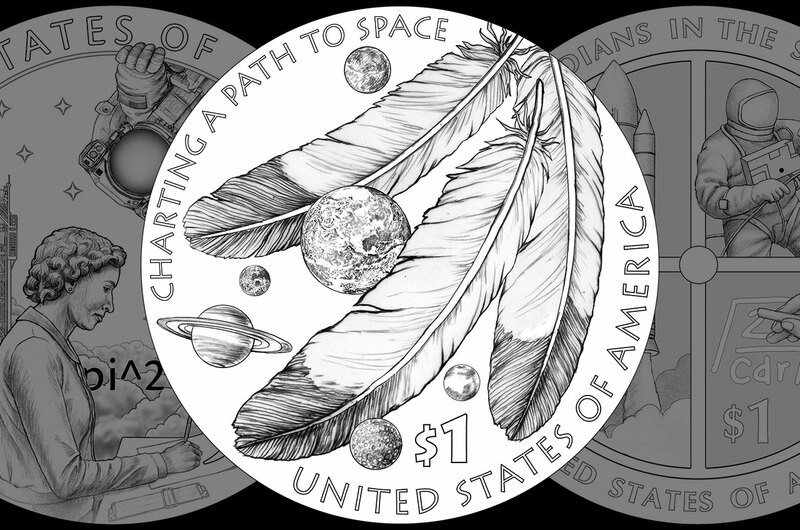 "The feather is extremely important to the American Indian community and so I think that all of these designs are quite good, but I would love to see a feather in whatever design we accept," said Doug Herman, senior geographer at the Smithsonian's National Museum of the American Indian, who advised the Mint on the coin, at a CCAC meeting on Wednesday (June 21). The CCAC and Commission of Fine Arts (CFA) reviewed the designs, as did the relevant Indian affairs committees in the House of Representatives and Senate. The House preferred a design that included a launching space shuttle, Gemini astronaut and a hand writing out an equation (symbolic of calculating a trajectory), as well as two feathers in its border. 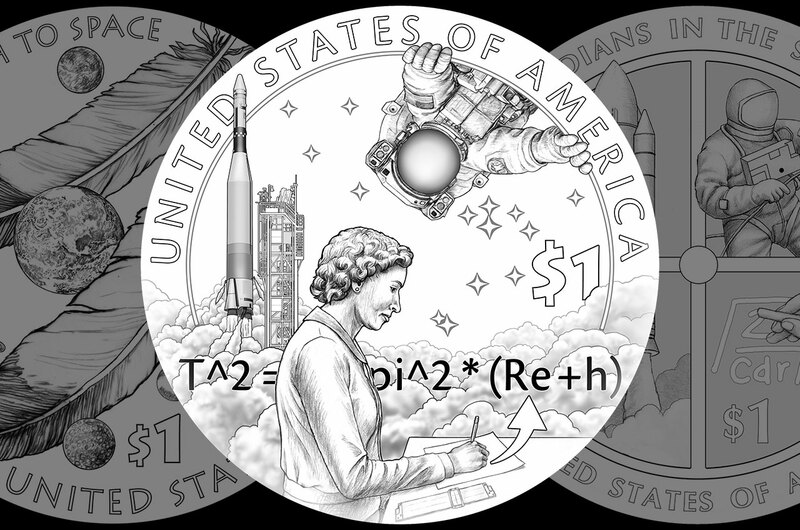 The CFA and Senate, as well as the National Museum of the American Indian, preferred a design with a portrait of Ross, as well as a launching Atlas-Agena and an astronaut depicted floating upside down (in relation to the artwork's other elements). That design also includes the Pleiades cluster. The CFA recommended a design with three large feathers, representing the tribes of the honorees, together with five planets of our solar system, including Earth with its moon. 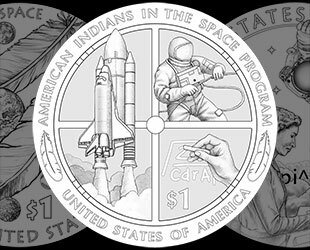 The CFA suggested changing the legend "Charting A Path Into Space" to "American Indians In The Space Program," or a similar statement of the coin's theme. "I was drawn really to the symbolism of the feather," said Kareem Abdul-Jabbar, the former professional basketball player who was sworn in as a CCAC member Wednesday. 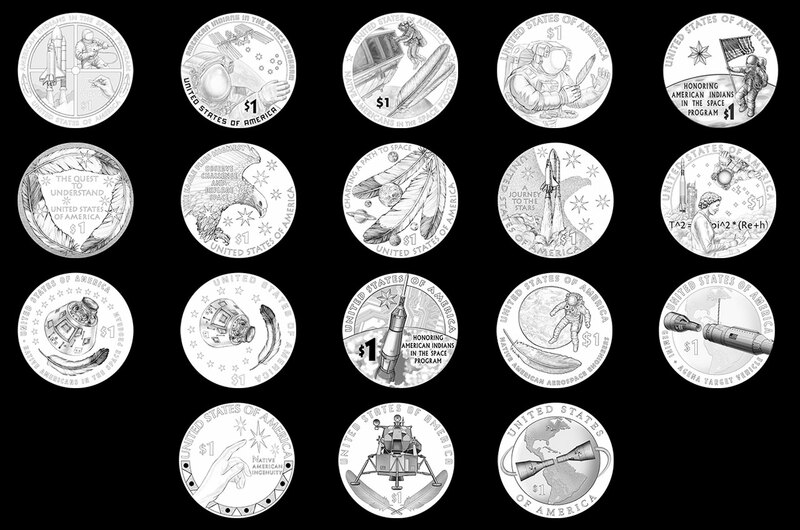 The Mint will next compile the recommendations from all of the reviews and present them with the design portfolio to the Secretary of the U.S. Treasury, who will select the final design. Golden in color, the Native American $1 coins are minted as collectibles, but can be used as a legal tender.